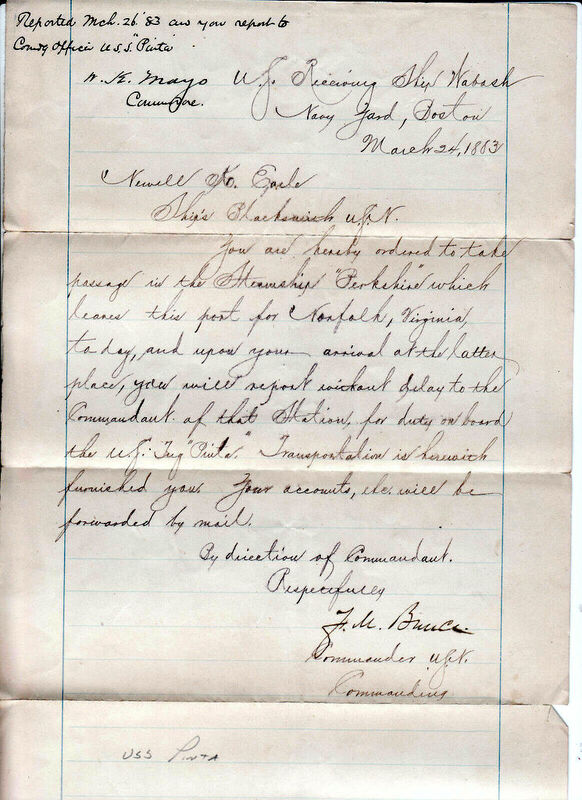 Sold for scrapping, 15 November 1912, to Boston Iron and Metal Co., Boston MA. 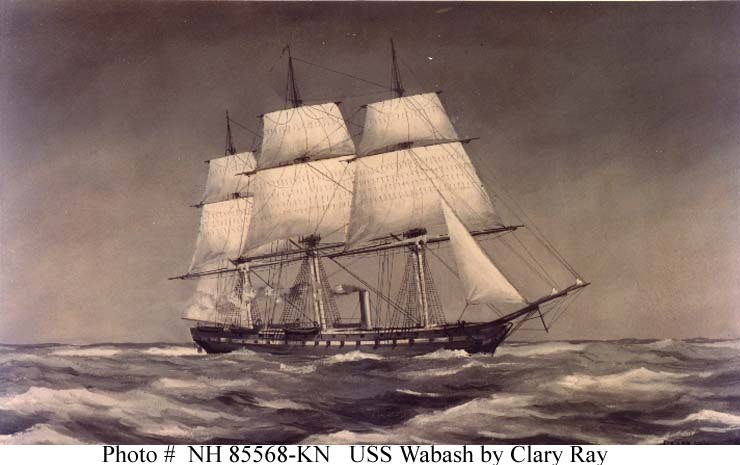 47k Wash drawing in grey tones by Clary Ray, circa 1900, showing the USS Wabash under steam and sail. 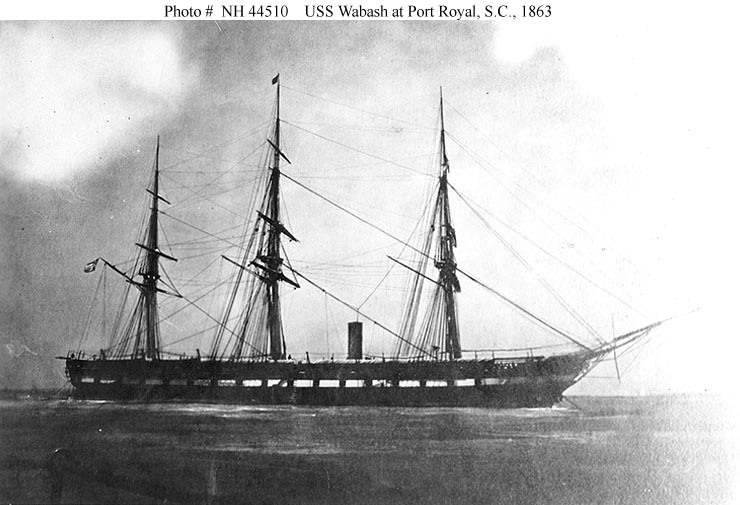 and USS Wabash. 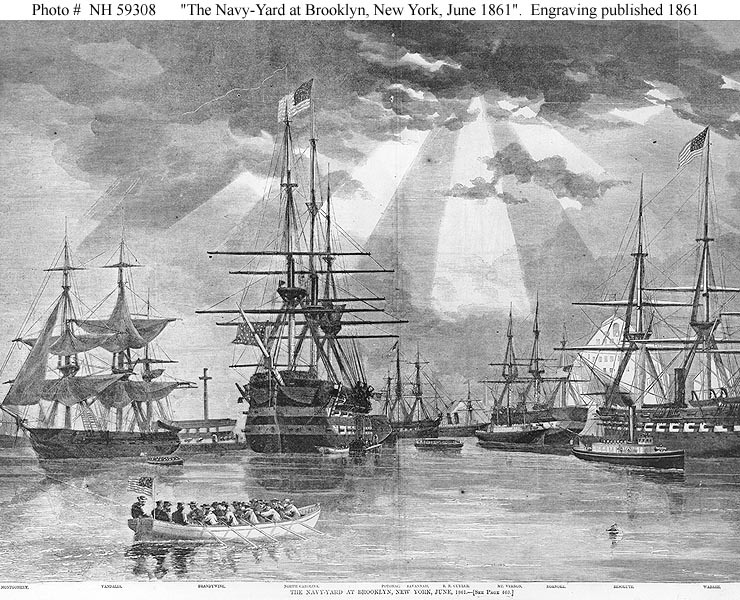 A rowing launch is underway in the foreground. 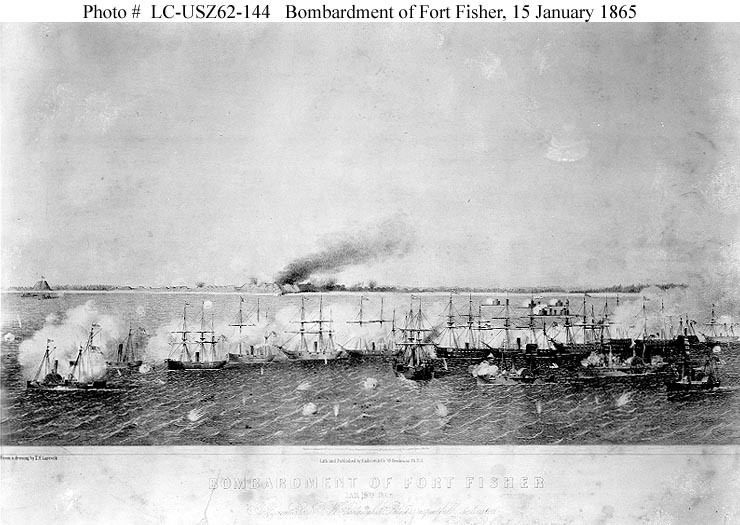 69k USS Wabash photographed from the deck of the monitor USS Weehawken, in Port Royal harbor, South Carolina, 1863. 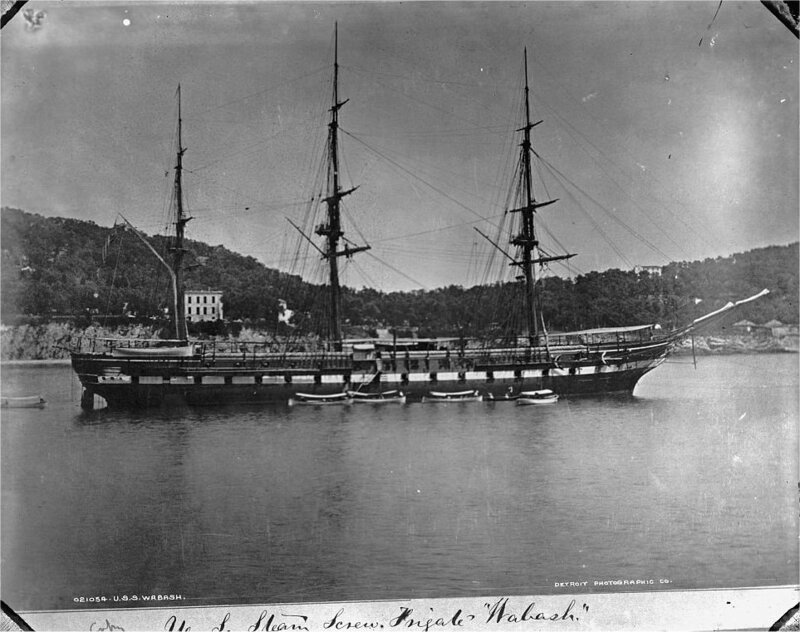 155k USS Wabash photographed in the Mediterranean, probably at Villefranche, France, circa 1871-73. 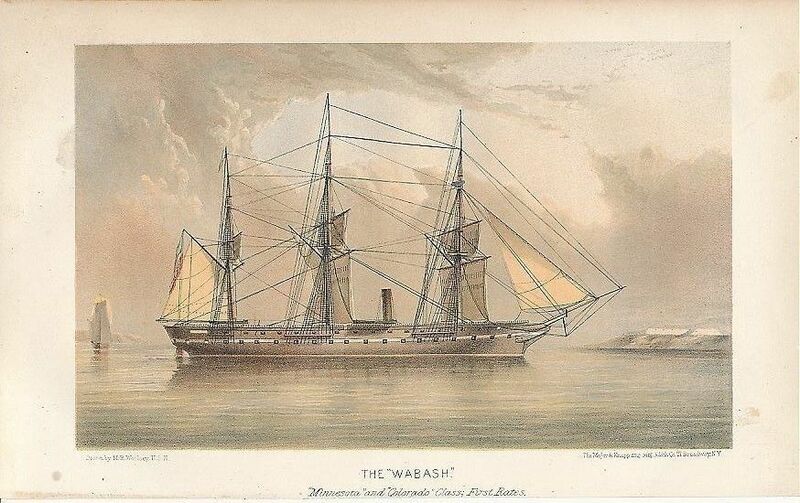 61k USS Wabash photograph by E. Decand, Rue Pastorelli and Rue Paradis, Nice, France, circa 1871-73 when Wabash was flagship of the Mediterranean Squadron. 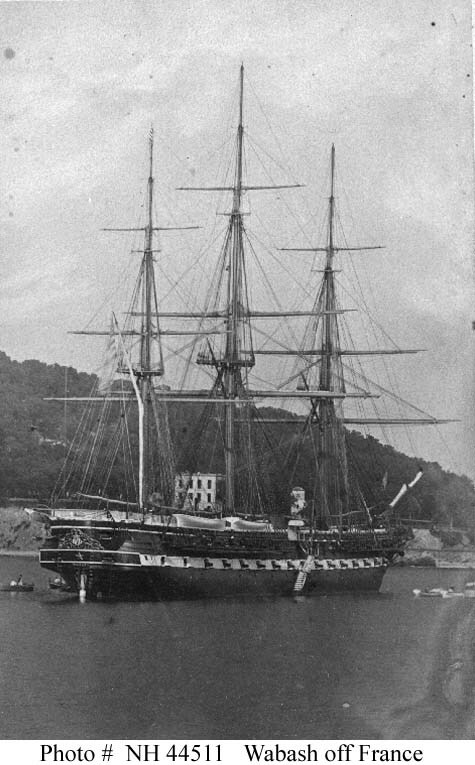 Probably taken at Villefranche, France. 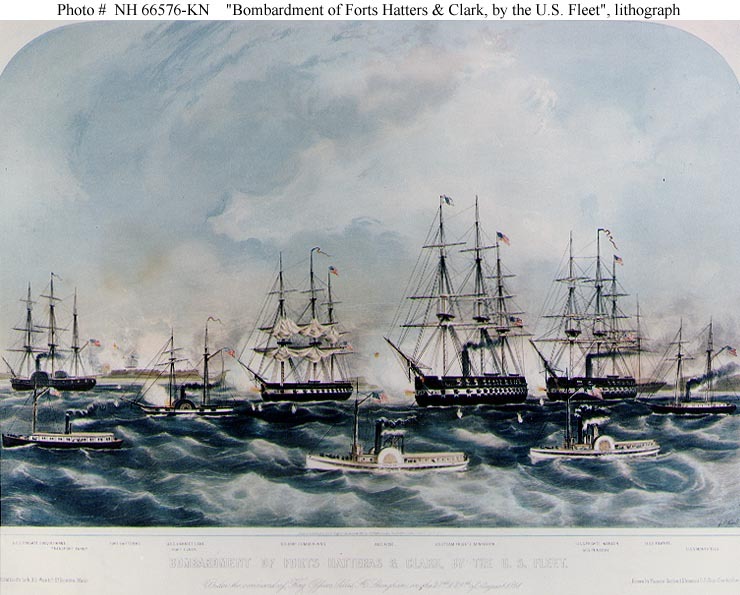 50k USS Wabash while serving as receiving ship at the Boston Navy Yard, MA., sometime after 1876. 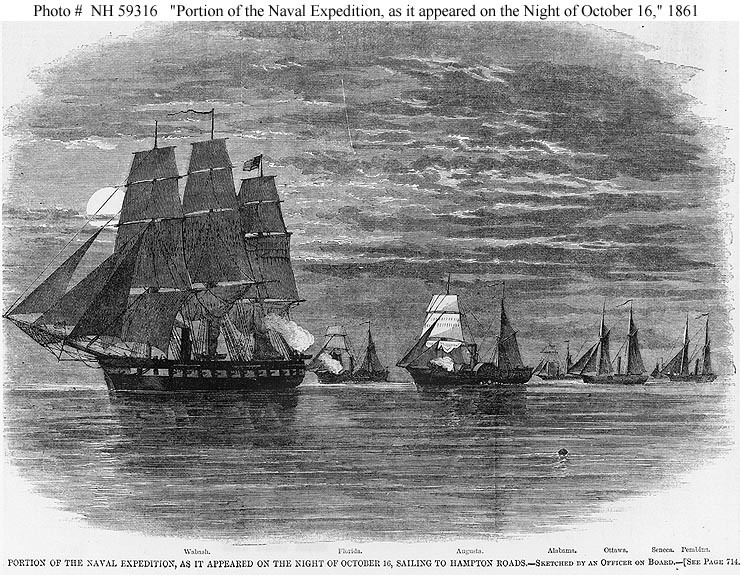 Note that she has been partially housed over, but retains her masts and spars. 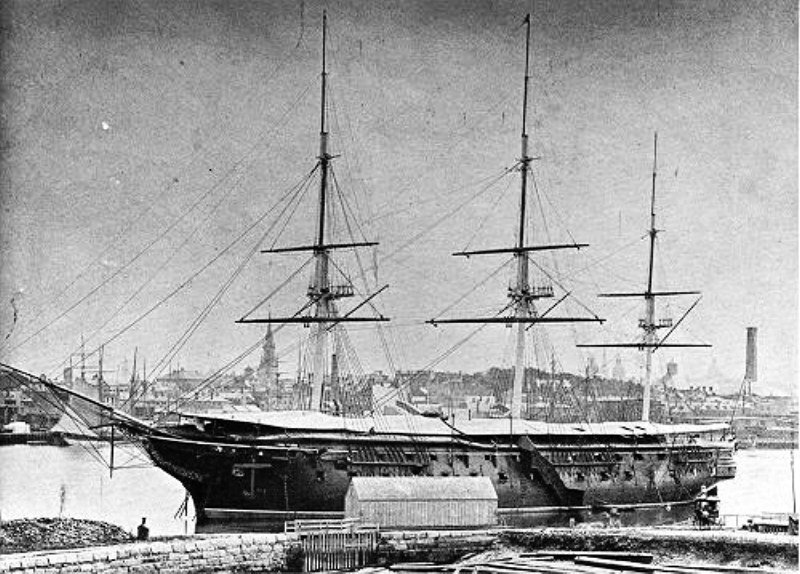 89k USS Wabash at Boston Navy Yard, while serving as receiving ship in 1885. 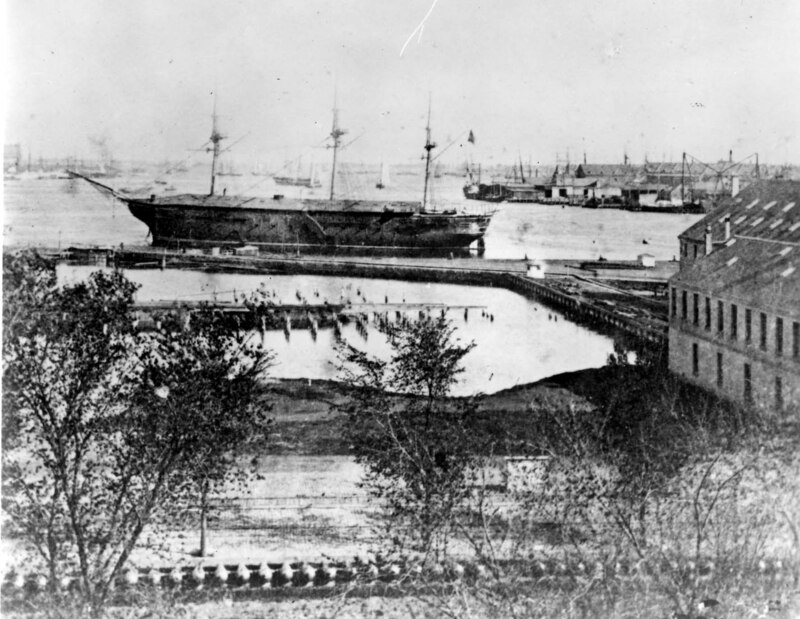 She is berthed off the Timber Dock of the Boston Navy Yard. 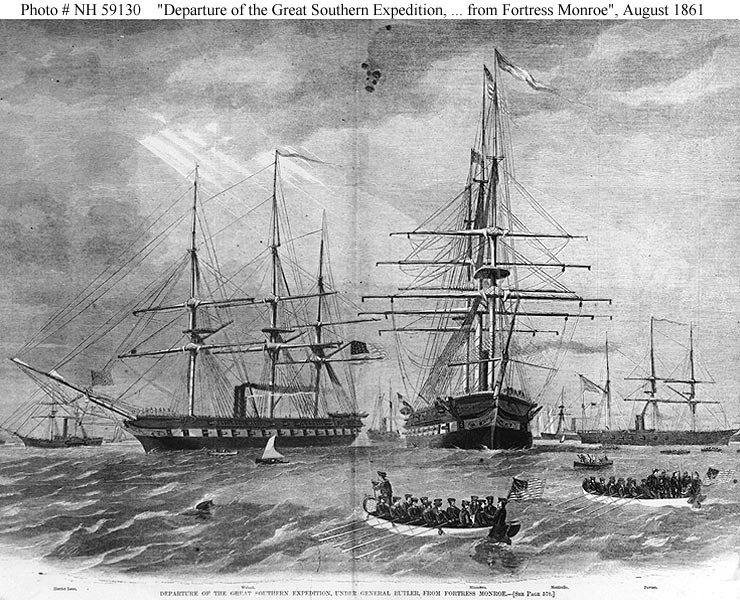 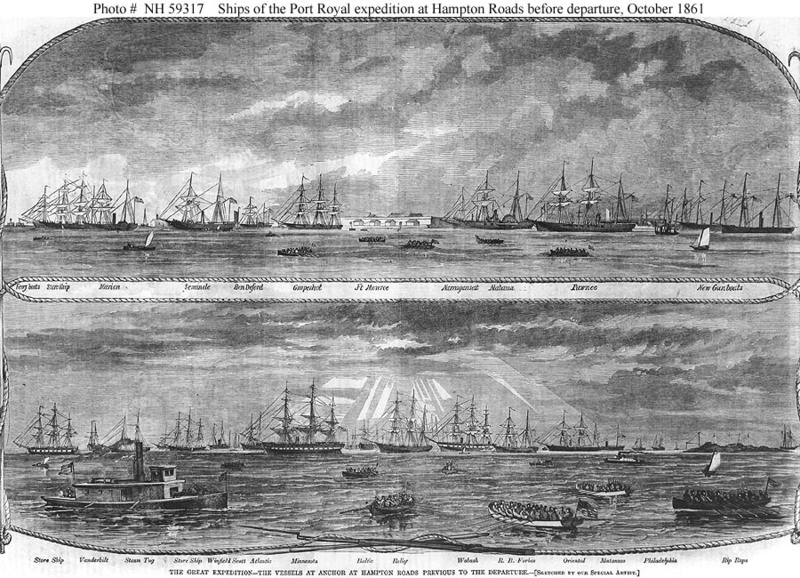 Note the gate to the dock at the bow of the ship. 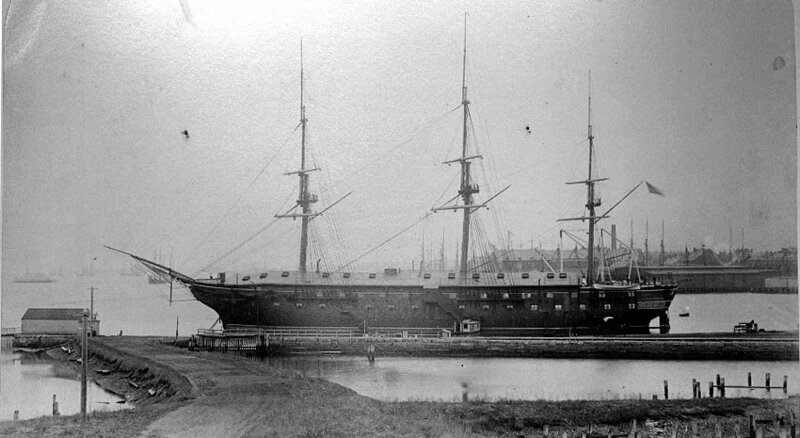 183k USS Wabash at Boston Navy Yard, while serving as receiving ship, circa 1890s. 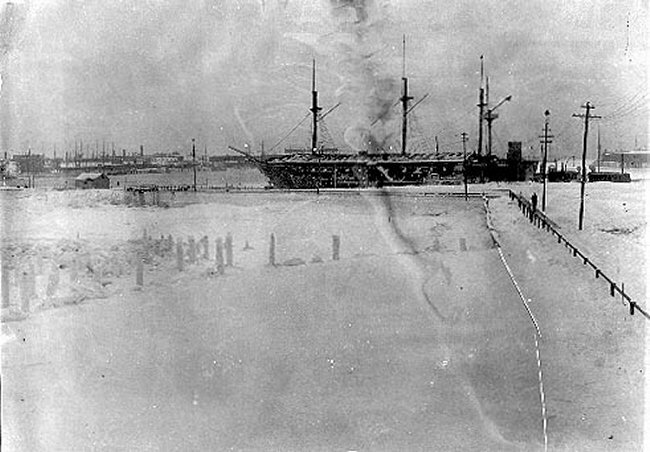 67k Winter view of USS Wabash at Boston Navy Yard, while serving as receiving ship, circa 1898-1899. 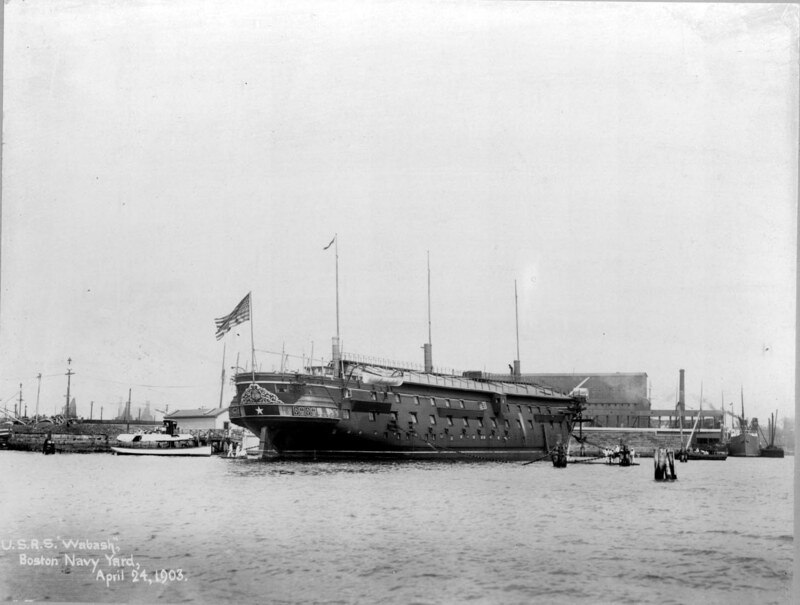 81k USS Wabash at Boston Navy Yard, while serving as receiving ship, 15 May 1899. 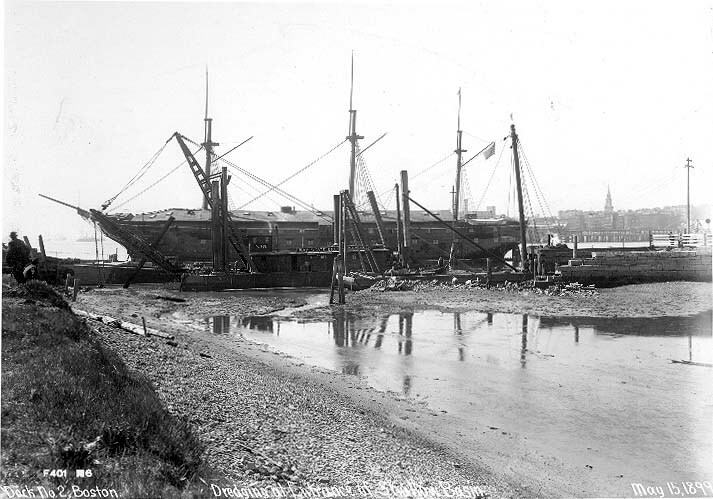 Construction of Dry Dock 2, which would replace the Timber Dock, has begun. 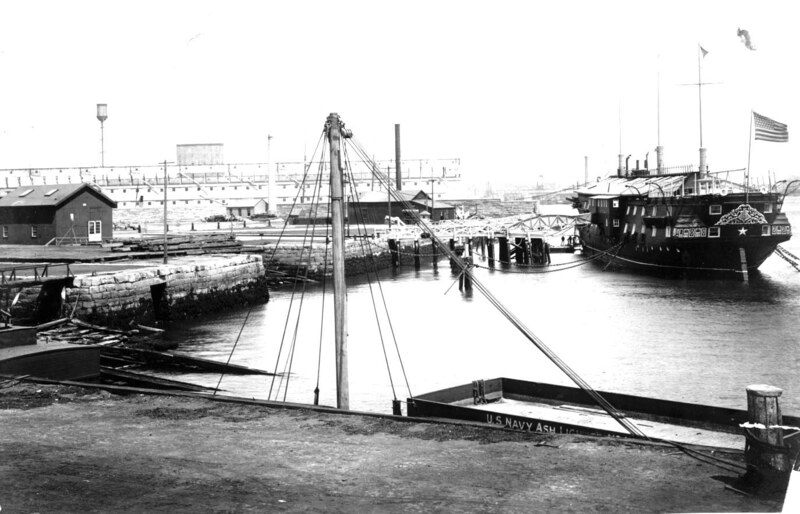 As part of the work, Wabash would be moved to the east end of the yard's waterfront. 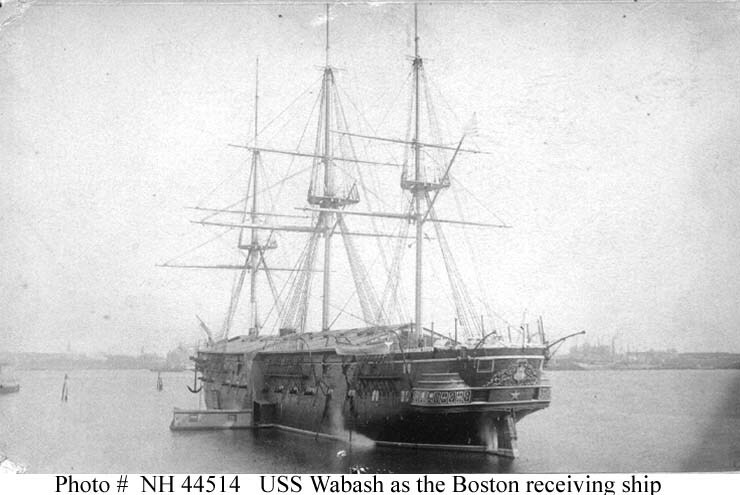 164k USS Wabash serving as receiving ship at Charlestown (Boston Navy Yard), circa 1900. 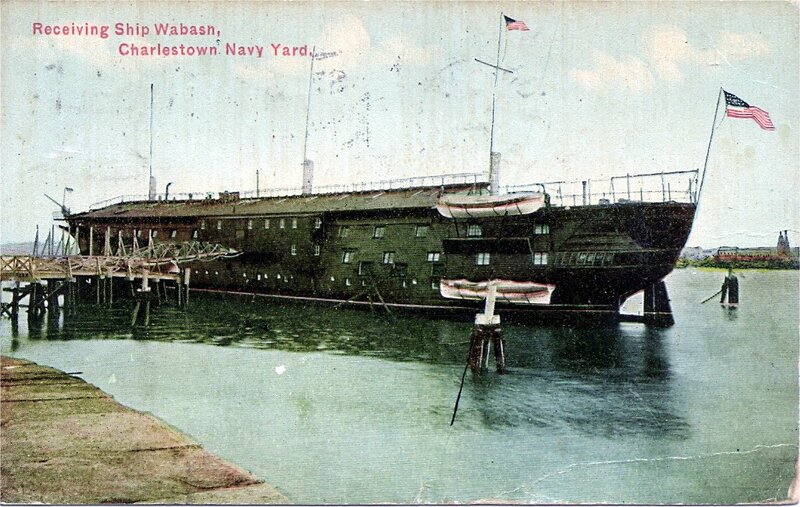 159k USS Wabash at Boston Navy Yard, while serving as receiving ship, circa 1910-1912. 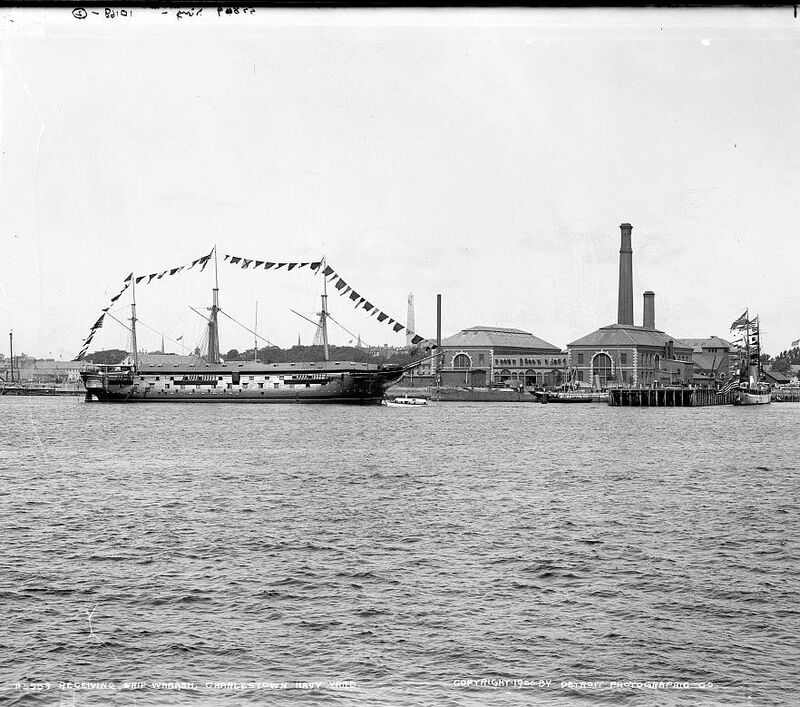 119k USS Wabash at Boston Navy Yard, while serving as receiving ship, 4 July 1912. 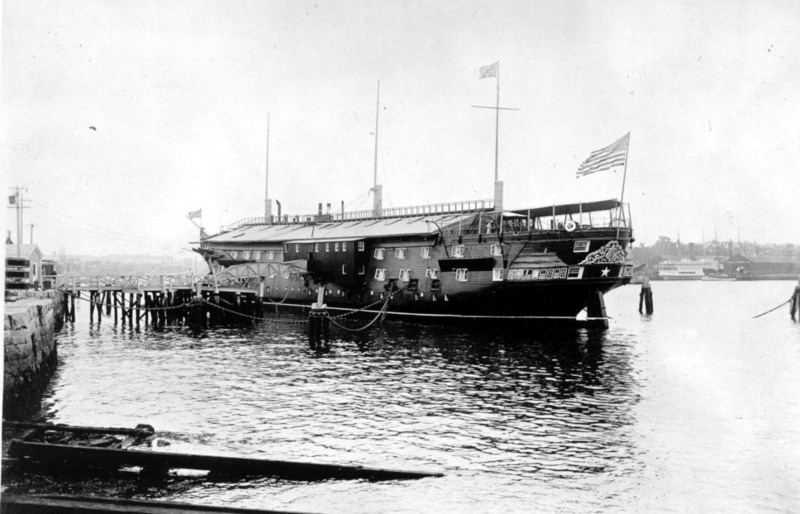 103k USS Wabash at Boston Navy Yard, while serving as receiving ship, circa 1910-1912. 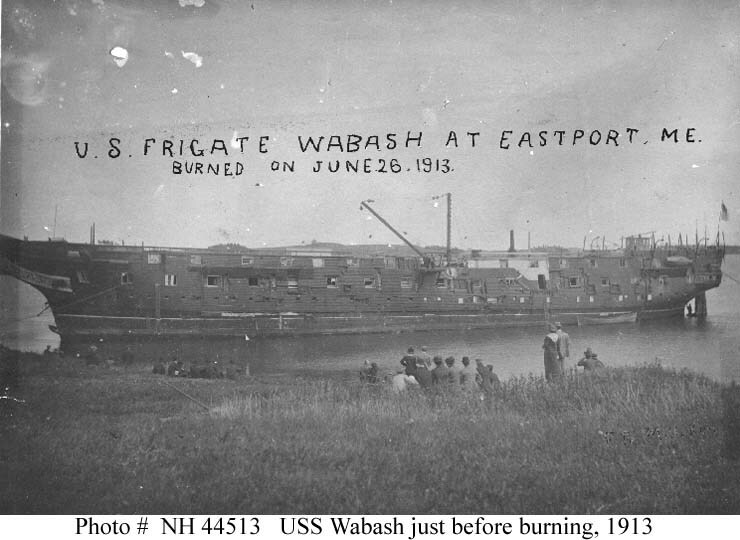 56k Ex-USS Wabash at Eastport, Maine, where she was burned for scrap on 26 June 1913.